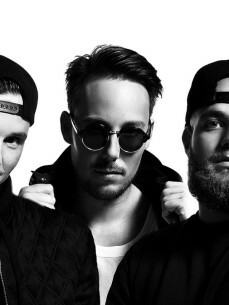 With a full schedule at leading venues and festivals, collaborations with renowned organizations, gigs in over 15 countries, features on leading blogs and support from the biggest names in the scene, the talented and dedicated dj/producer brothers from Amsterdam aka PURESANG have proven to make every crowd explode! Their career took off when notorious organizations such as Extrema, Par-T, World Finest Clubs, WMC, Ministry of Sound, ADE, Nikki Beach, recognized the unique chemistry of these brothers in the booth and their ability to entertain any crowd. After playing the main stages of leading festivals Solar, Laundry Day, 7th Sunday, Matrixx at the Park and Paaspop to name a few their reputation swiftly spread which resulted in a full schedule in the Netherlands, also known as the most saturated and critic DJ market in the world. Awarded venues such as Escape, Bermuda, MIXX, Brothers, Club Noa, praise Puresang for their energetic performance, appearance and ability to always deliver a unique experience for their guests. Sharing the stages with many Dutch and international reputable djs for instance Hardwell, R3hab, Nervo, Shermanology, Sidney Samson, it didn’t take long for the brothers to get noticed by Holland’s neighboring countries Germany and Belgium. After the leading venues Carre, NUNU Club, Versuz, AER club among many started booking Puresang frequently the brothers have travelled and performed all over the world, selling out venues in the USA, Switzerland, Poland, Belgium, Caribbean, Germany, Spain and so on.